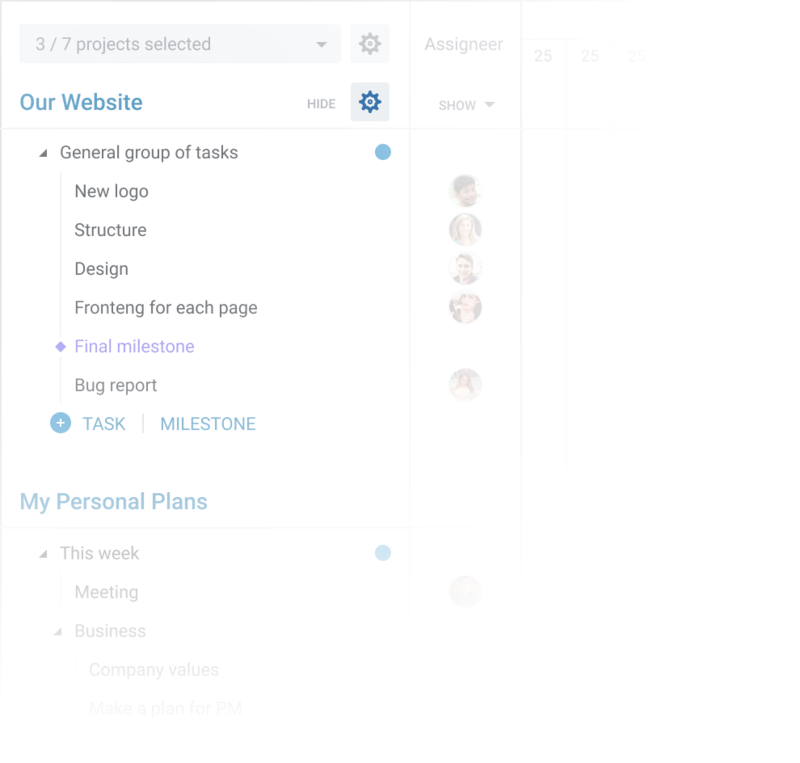 In the Gantt Chart view, you can see all the boards of your Trello account and the tasks for them. You can disable what you want also. 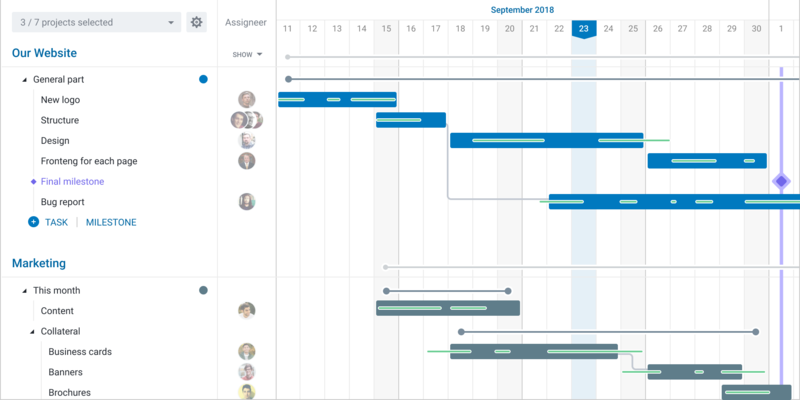 Connect your favorite time trackers and track your employees' performance right on the gantt chart. Tracked time is displayed as a green bar in the task line. This column automatically includes all tasks that are created through Gantt Chart View. If the time tracker starts tracking the time by task, it automatically moves to that column. Tasks that are marked as completed in the Gantt Chart View will automaticly move in this column. Watch for the load of your team members and evenly distribute the load between them using the access panel. Choose between the number of tasks and the number of working hours per day. Build dependence between tasks. Any changes in terms will shift related tasks. Make subjective progress on the task in order to understand at what stage the readiness is. Group tasks and build any hierarchy. Keep track of the progress of the exercise throughout the group. Brief statistics of the time spent by the performer in each card. Indication of changes in the cards on the Gantt View. Change the name of the task/Trello card directly right on the Gantt View. 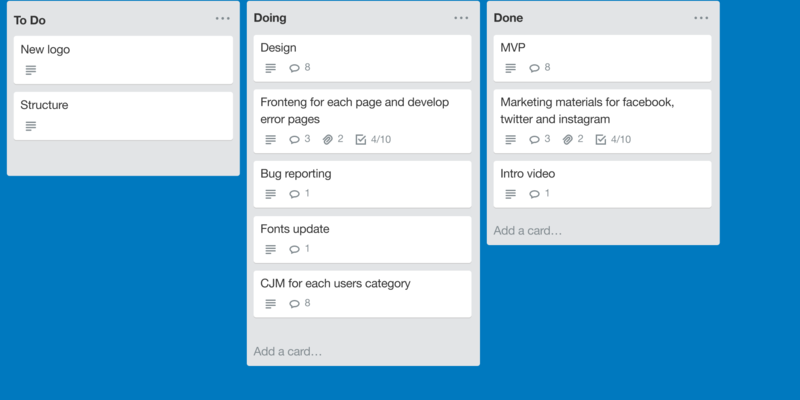 Opening a Trello card directly in Gantt View. Quick work without loading RAM. The development of our product has begun. You can leave your email and we will notify you as soon as the product is ready. We will immediately notify you as soon as the product is ready. Oops! Something went wrong while submitting the form. Try again or reload the page. If you have any questions about the product or offers of cooperation you can write to our mailbox. If you want the product to appear as soon as possible, you can provide support on the IndieGoGo, where we raise funds for its implementation. How much can I donate and what benefits can I get? Find it below. Go to INDIEGOGO and implement the project!